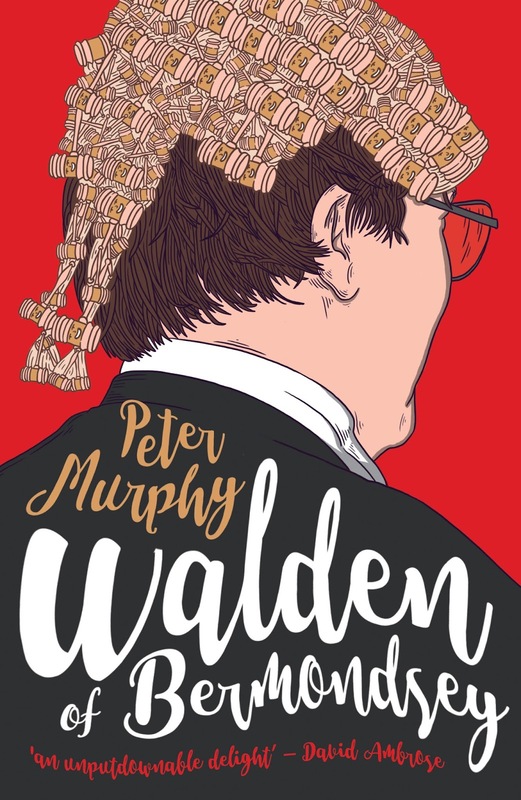 Today is publication day for Peter Murphy's latest book Walden of Bermondsey and it's my pleasure to welcome Peter to the blog to find out a little more about himself and his writing. Can you tell us a bit about yourself and your writing journey? My career was in the law. 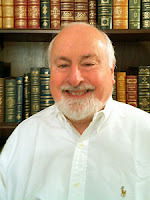 I started writing fiction many years ago, as a relief from all the technical legal writing I was doing, but I only got really serious about it some ten years ago. Along the way, I had the usual number of rejection letters, before a publisher finally liked two novels I’d written: Removal, and the first in my Ben Schroeder series, A Higher Duty. If you had to give an elevator pitch for Walden of Bermondsey, what would it be? The book that answers the question: what would Horace Rumpole have been like as a judge? I've read that you have previously been a judge amongst other positions, how much of yourself is in Charlie Walden? Not too much, although I was a resident judge at the end of my career, and quite a lot of the book is based on personal experience. But Charlie is a composite of two or three people (as my characters always are: I don’t use a single person). But there is a serious aspect to Walden. Charlie shares my own frustrations. He knows how much irreversible damage is being done to the court system because of ideological cuts disguised as economic measures. People are at a greater risk of suffering injustice now than at any time since the nineteenth century, because of attacks on legal aid, cutting back of courts and staff, cutting corners, and disempowering the judiciary. I think he has something of my own sense of humour, too, and hopefully he shares my sense of why his job is important, and why it’s worth fighting to make sure justice is done in the court system. Describe Charlie in three words. I can’t really, any more than you can describe anyone in three words. But in a nutshell, he is old-fashioned in his values, steeped in the tradition of the courts and the Bar; sometimes a bit lost in the modern world; he doesn’t suffer fools gladly; he can get frustrated by beaurocracy and silly rules; but at the end of the day he is clever, compassionate, and determined to do what is right. Is there such a thing as a typical writing day? If so, what does yours look like? I try not to have too much of a routine now that I’ve retired from my day job. I generally write for three or four hours a day, five days a week. I find more than that is counter-productive, as I tend to become tired and the quality of my writing suffers. They say you should 'write what you know' is that why you have chosen to write legal thrillers as opposed to any other genre? Yes. I think that makes the process easier, and your writing can be much more convincing. That’s why people such as lawyers, doctors, police officers, military officers, forensic scientists, and others have written good fiction based on their own experience. Of course, you can write about things you don’t know about in detail, and actually you have to, to some extent. For example, I’ve included quite a bit of of espionage and security services material in my Ben Schroeder series. But it’s meant a lot of research, and a certain amount of imagination. That’s the key, of course You’re writing a novel, not a documentary. It doesn’t have to be 100% accurate, as long as the basics are well researched. What would you say is the hardest thing about writing? Discipline: to write a detailed synopsis, and then to sit down and make that into a novel which will come out at somewhere between 350 and 400 pages, and will keep the reader interested. It takes most authors the best part of a year to produce a novel, so you have to want to do it, make time, and commit to it. Once you have a publisher, you have more motivation. Writing your first novel has to be a labour of love. Many people have good ideas for a novel. The key is having the discipline to put in the work to make it happen. If you get a block during the initial writing phase, how do you work your way through it? There should be no such thing. If you’ve done the groundwork, you shouldn’t have ‘writer’s block’. By groundwork, I mean writing a detailed synopsis and doing the necessary research. If you’ve done this, you should know exactly what you’re about to write. That doesn’t make it easy – the task is to write each scene as well as you can. But what comes next should never be a mystery. One exception: I don’t think you necessarily need to know how the book ends when you start out. Usually you do, but sometimes the characters will tell you how they want it to end as you go along. This happened to me with my first novel, Removal. I was about 75% of the way through my writing when my heroine, FBI Agent Kelly Smith, told me how she was going to resolve the national crisis situation I’d set up. She was right: it was a great ending. But you can’t leave it too long. At some point you have to write an ending and go with it. In The Goldfinch, an otherwise wonderful, beautifully written novel, you can sense that Donna Tartt could never quite make up her mind how to end it, left it too late, and wrote a rather unconvincing ending. But generally, if you have ’writer’s block’ or you’re sitting around waiting for the ‘muse to descend’, sorry: you just haven’t done your preparation properly. Do the preparation, then get back to writing. What type of books do you like to read to unwind? All kinds of stuff. John Le Carré is my all time favourite. But I enjoy many different authors, in and out of my own genres. I try to read most novels that win a major prize. I’m currently reading Salman Rushdie, who for some reason I’d never got to before. Weird stuff, but somehow you can’t put it down! I like older work, too, such as Graham Greene, Evelyn Waugh, and back to Henry James, and Arthur Conan Doyle, and I adore Virginia Woolf, whose command of English is unrivalled: though I’ve never been able to cope with Dickens – if ever an author needed an editor…! The second volume of Walden stories, entitled Judge Walden: Back in Session, will be published next June, and later next year, the latest in the Ben Schroeder series, One Law for the Rest of Us. When Charlie Walden took on the job of Resident Judge of the Bermondsey Crown Court, he was hoping for a quiet life. But he soon finds himself struggling to keep the peace between three feisty fellow judges who have very different views about how to do their job, and about how Charlie should do his. And as if that's not enough, there's the endless battle against the 'Grey Smoothies', the humourless grey-suited civil servants who seem determined to drown Charlie in paperwork and strip the court of its last vestiges of civilisation. No hope of a quiet life then for Charlie, and there are times when his real job - trying the challenging criminal cases that come before him - actually seems like light relief. 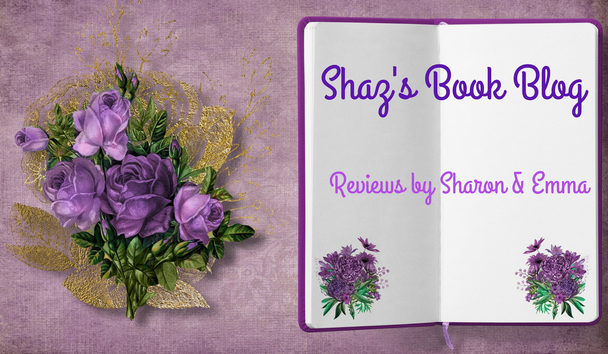 All book titles in bold are Amazon UK Affiliate links which will earn me a few pence if anyone clicks through and makes a purchase - any money earned will go towards buying books or gifts for giveaways.